Justice League (Blu-ray Review) – The superhero team-up we’ve all been waiting for? Poor old Justice League. It’s a superhero team-up that fans have been waiting for decades for. When it was announced a couple of years ago it immediately sounded like it would be the biggest movie of 2018. However, following the lacklustre reception to the Warner/DC movies that led up to it (Wonder Woman excepted) and production problems including director Zack Snyder leaving due to personal problems and replacement Joss Whedon extensively retooling the movie only months before release, it certainly didn’t bode well. It also felt like Warner Bros. had slightly given up on it, or at least they failed to generate the sort of hype the movie needed, with a weak marketing campaign and little sense that this is what we’d all been waiting for. While there was plenty of talk about how Wonder Woman was a sign that sexual equality in the world of superheroes wasn’t as impossible as some studio executives seemed to think. However, it’s not just the in the ranks of heroes where there’s been a lack of women – the supervillains have tended to be men too. However, Wonder Woman 2 is looking at adding a female baddie, with Deadline reporting the Kristen Wiig is in talks to play Cheetah in the movie. Gal Gadot will once more be back in the title role, with Patty Jenkins returning to direct the movie, which will be set during the Cold War in the 1980s. Nothing else is known about the plot, and while we may know Wiig is being lined up to play CHeetah, we don’t know which one, as there have been four incarnations of the villain over the years. All of the Cheetahs over the years have possessed feline characteristics, but some have had superpowers while other didn’t, so there’s plenty of scope for how the character will be used in the movie. Although there hasn’t been as much hype for Justice League as we might have expected, the movie is still tracking for a $100+ million opening weekend in the US, when it arrives in cinemas on November 17th. 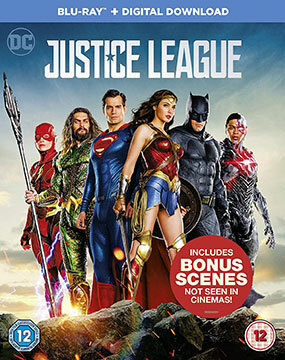 Much of the marketing so far has concentrated on bringing together the heroes – Batman, Wonder Woman, Aquaman, Cyborg and The Flash – without giving us much info on why they felt the need to get together. Now a new, fairly short trailer has arrived, which gives us a little more and a look at the main bad guy, Steppenwolf (Ciarán Hinds). He’s an integalactic bad guy who brings his parademons to search Earth for something he wants, and he doesn’t mind if the planet is destroyed in the process. 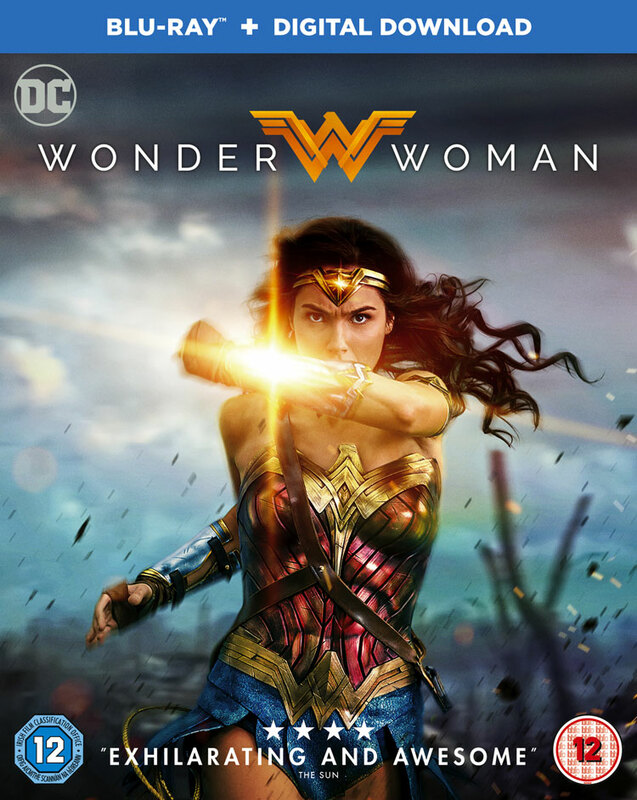 Wonder Woman (Blu-ray Review) – Can one woman beat the whole German army? Pretty much! Although DC’s movies have done okay at the box office, the likes of Man Of Steel, Batman v Superman and Suicide Squad certainly haven’t gained the same level of enthusiasm and fan fervour as Marvel’s movies. 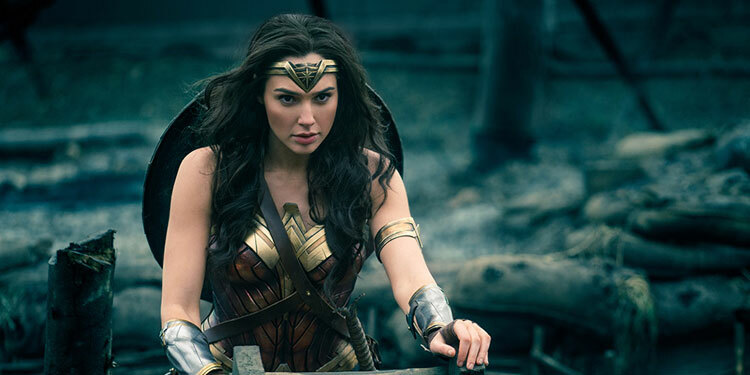 However, with Wonder Woman they hit the jackpot, with a movie that was well-received by critics, fans and general audiences, grossing over $800 million at the box office. It set a lot of records for a movie directed by a woman along the way, from being the most expensive film with a female director to the highest grossing. When DC announced its plans for a movie universe, the centrepiece was Justive League. However, with only Wonder Woman getting a decent critical reaction in the run-up to the superhero team-up, enthusiasm for the film has been somewhat dampened. That’s not been helped by the fact that a family situation cause director Zack Snyder to leave the film, with Joss Whedon stepping in to resoot a large chunk of the movie and finish it off. Now we’re only a few weeks until the film is due to be released, and a new trailer has been released. Following the critical and commercial success of Wonder Woman, many are hoping that the DC universe has taken a turn for the better, and that it will continue with this autumn’s much-anticipated Justice League. It’s certainly noticeable in this extended trailer, that Wonder Woman is pused to the fore. Of course, there’s also Batman (Ben Affleck), Aquaman (Jason Momoa), Cyborg (Ray Fisher), Flash (Ezra Miller) and maybe even Superman (Henry Cavill), despite what happened in Batman vs. Superman. Next month Warner/DC will be hoping that they’ll be getting better reviews for Wonder Woman than they did for their last few films, and that critics and fanboys will finally be getting a bit more excited about their filmic universe. The latest trailer certainly make it look like it’ll be fun. Here’s the synopsis: ‘Before she was Wonder Woman, she was Diana, princess of the Amazons, trained to be an unconquerable warrior. Raised on a sheltered island paradise, when an American pilot crashes on their shores and tells of a massive conflict raging in the outside world, Diana leaves her home, convinced she can stop the threat. Fighting alongside man in a war to end all wars, Diana will discover her full powers…and her true destiny. With all the summer blockbusters lining up for attention at the moment, it’s been easy to forget that before the end of the year, Warner/DC is releasing its major superhero mashup, Justice League. 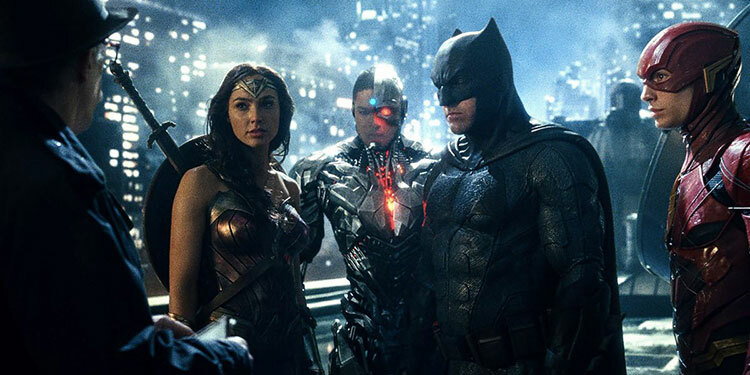 To help stake its place on the hype scare, the first official trailer for the movie has now arrived, showing us the likes of Superman, Batman, Aquaman, Wonder Woman, Cyborg and The Flash, and what they’ll be getting up to. The trailer follows a series of teasers and character posters, which you can also see below. A couple of months ago there were rumours that Wonder Woman was in trouble, and that the film was a bit of a mess. However, from the evidence of this trailer, it looks like it might be quite fun, not least because it seems to have a lighter tone and more of a sense of humour than most of the previous DC Universe movies. It also takes us back in time, for a superhero movie set during the First World War. It’s been easy to forget that in less than a year, DC/Warner will be really upping their game with Justice League, which will bring together the likes of Batman, Wonder Woman, The Flash, Superman, Aquaman and Cyborg. To remind us, a new pic has arrived via EW, showing the first three of those superheroes lining up. Of course, before next November’s Justice League, Wonder Woman will be getting her own standalone movie next June, while solo movies for the other characters are already mapped between now and 2019. DC will be hoping these film are better received than than the likes of Batman v Superman and Suicide Squad, which made decent amounts of cash, but haven’t been able to dent Marvel’s superiority in the critical and fanboy stakes. The Justice League mash-up certainly has plenty of potential though. Expect it in cinemas next November.